Like many of my friends, I’ve spent many confused, fascinated hours sucked into the strange glory that is Twin Peaks. If you haven’t seen it, dedicate an hour to the pilot. It’s an early 90s noir/supernatural/thriller/comedy/soap opera. Ok those were a lot of descriptors, but they’re necessary. Though the plot twists kept me captivated, my focus was drawn to the ladies in the show. I love scrutinizing makeup from earlier eras (strange to call the 1990s an earlier era, but the show is now 22 years old). Sure, older makeup looks dated, but I think there is something to learn from every period. I was going to start with my favorite character on the show – Audrey Horne, played by Sherilyn Fenn. But my order of black liquid liner is still in the mail, so I’ll put that off for another day. 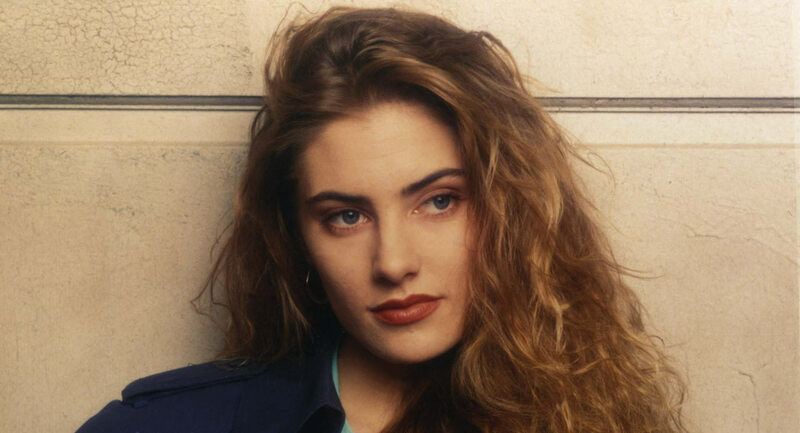 I chose my second favorite female character on the show, Shelly Johnson, the waitress. She’s married to Leo Johnson, the wife beating drug dealing truck driver, and she has an affair with an idiot high school douche bag, Bobby Riggs. 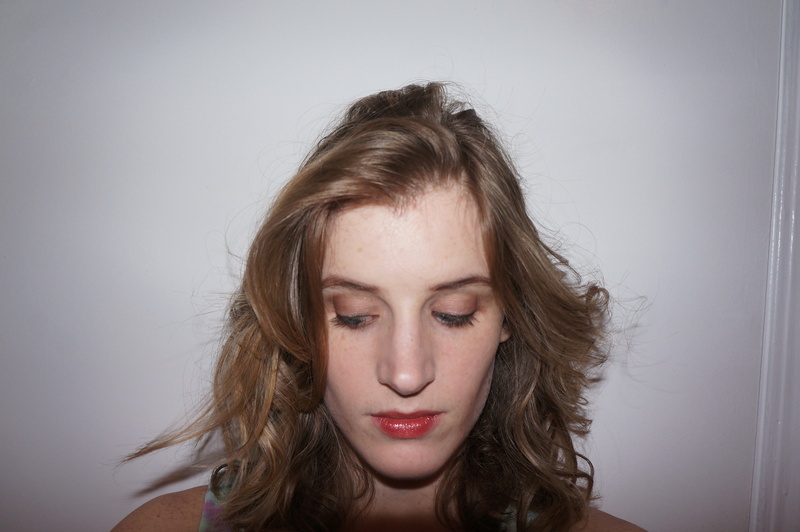 Her strongest makeup features are her very dark strong brows, her browny-coral lipstick, and her permanent wave. I have never ever tried out brown lips, and with reason. They’re not the most flattering look for very fair people. But I thought I would give it a try. For science. Apply a full coverage, opaque foundation. If I wanted to be more accurate, I probably should have done a second layer, but I like to wear as little foundation as possible. I used Makeup Forever’s HD Foundation in 115. Apply a matte taupe shadow all over your lid below your crease. I used the second color in Revlon’s 12 Hour Eye Shadow in Coffee Bean. Use a reddish brown shadow in the crease, the outer corner, and along the lower lash line (shadow on the lower lash line is much softer than liner). I used Urban Decay’s Toasted found in the Naked palette. First apply a black liner very close to the lashline, aiming directly at the lashes. I used Urban Decay’s 24/7 pencil in Zero. Follow up with a thicker greenish khaki line (I used UD’s pencil in Stash). 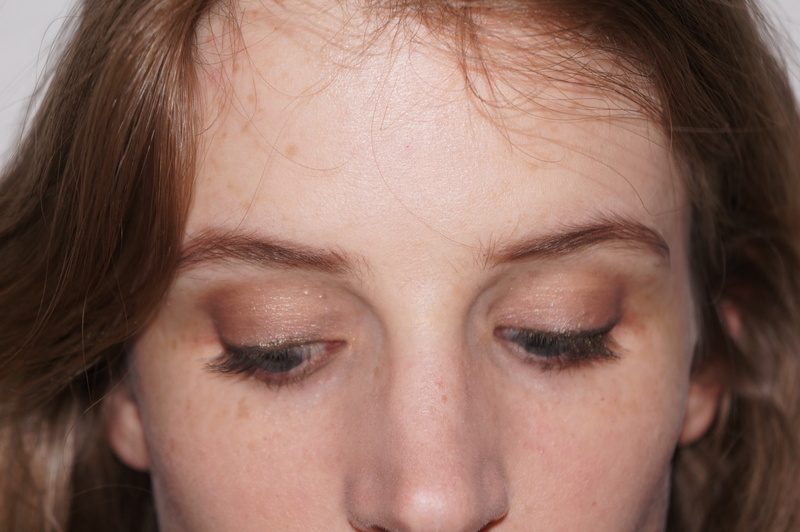 If you don’t have a green liner, you can use a dark brown instead – I just like the contrast with the reddish shadow. Lighter liner on top of black softens the effect while still giving strong definition. 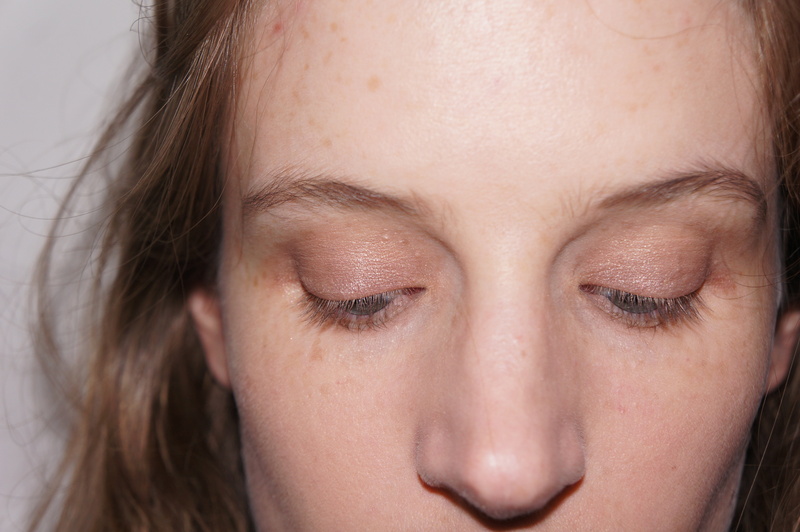 Follow up with a lash curler and two coats of your favorite mascara – I used Buxom Lash. Use a brown eyebrow mascara with a heavier hand then you’re used to. I almost gave up this Perfekt Brow Perfection Gel in Caramel sample I received because I thought it was too dark for me, but it came in handy today. Looking at Shelly’s eyebrows, I realized just how dark they are. I had to fill in with a little (gasp!) black matte shadow – Urban Decay’s Blackout. I never thought I would use black shadow on my brows, but it looks better than expected. For the lips I layered Cover Girl’s Outlast Lipstain in 435 (dark coral) and Stila’s Coconut Crush in Coconut Crush (brownish pink). But after several coats, it was still much more coral than brown. So I whipped out a wildcard: my grandmother’s Calvin Klein Lip Wardrobe, which was probably made when the show first aired in 1990. I found it in a cupboard, completely unused when I was in high school. I know, I know, you’re supposed to throw away makeup after a year or two, so 20 years is ridiculous. But since I was the only one to use it, I’ll take that bet. I used the Black Plum color – which I probably could have stuck to from the start, as it’s the perfect 1990s brownish-orange. You can’t do much better than a true vintage piece. Put on a light dusting of finishing powder – I like Makeup Forever HD Powder. No blush. No highlighter. This is a matte look, and David Lynch isn’t messing around. Start at the bottommost layer of your hair, and work your way up. Put the fat end near the roots of your hair, and the skinny one at the ends. If I were going out for the night and wanted it to last, I’d give my hair a quick dusting of L’Oreal Elnett hairspray. But my company tonight is Ben and Jerry’s Boston Cream Pie ice cream. So no hair product today. And there you have it. I’m not all that faithful to the original look, but I think with a few modern updates this look holds up. 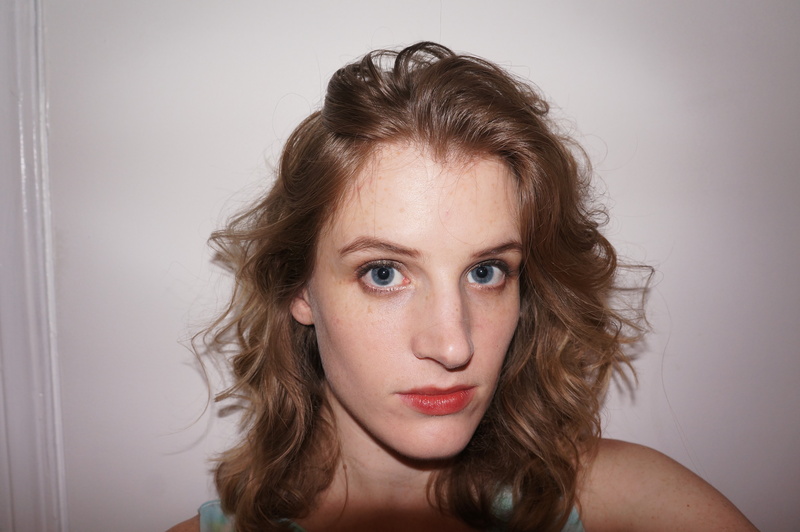 The 90s has been ragged on for the brownish lip, but it’s a nice change up from pink-based everything. Would I wear it out? Sure, but tonight I’m staying home with my cat on the couch. Working on my Shelly Johnson face. Clearly not enough sass. wow, i love this. i got here by googling “twin peaks shelly makeup” haha. seriously appreciate you taking the time to do this, and i hope you continue with the rest of the ladies! i’m making my way through the series for the first time right now, and there’s just something about shelly, i can’t figure it out. her look is stuck in my head and i had to do something about it, and now i’m here. great blog as well, keep it up girl! Thanks so much! I’ll post another Twin Peaks article this week. Glad you enjoyed it!